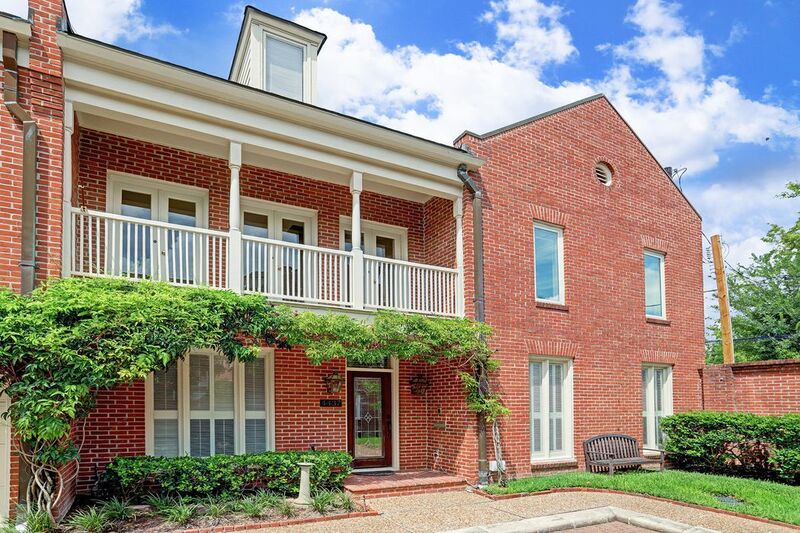 4437 Yoakum Boulevard, Houston, TX 77006 | Martha Turner Sotheby's International Realty, Inc.
FRONT ELEVATION: Located within minutes from the Medical Center and Museum District, this corner unit is one of eleven townhomes in the complex designed/built by W. Robert Singleton Associates, Inc. ENTRY surrounded by lush landscaping. 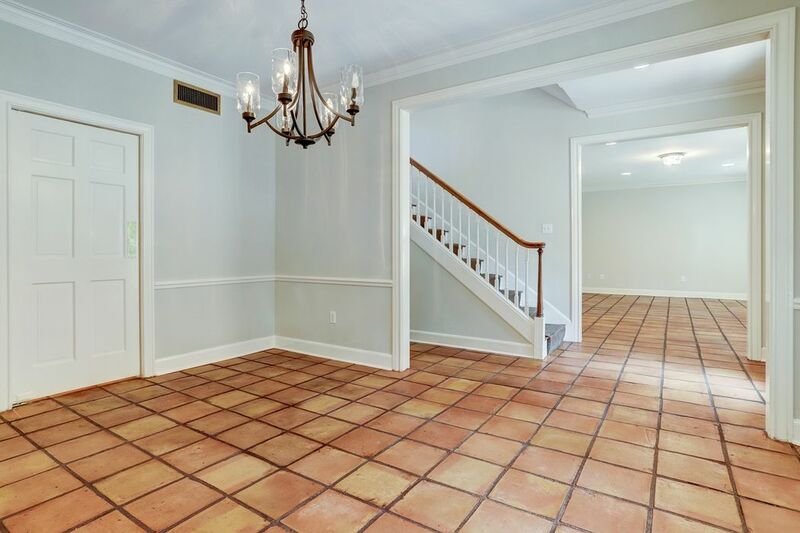 FOYER with Saltillo tile floors, crown molding, baseboards and plenty of natural light. 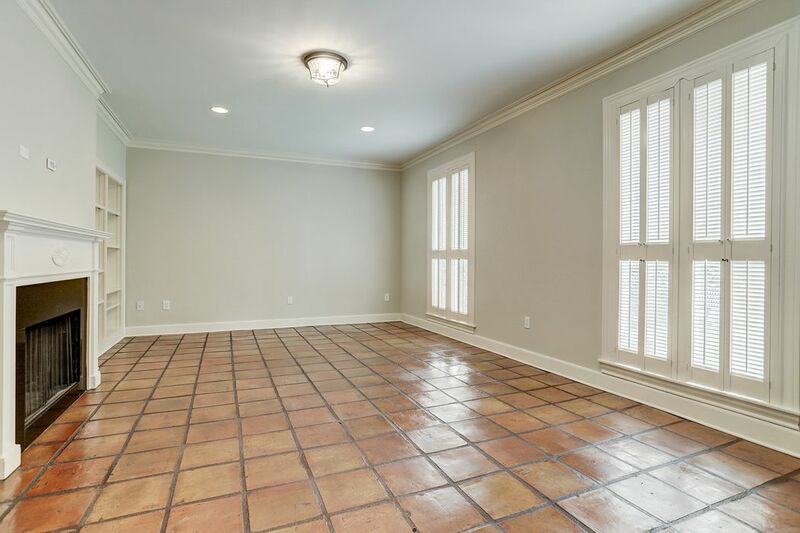 FORMAL DINING ROOM (14 x 11): Saltillo tile floors, elegant light fixture, crown molding, baseboards, one window with plantation shutters, chair rail moldings and lots of natural light. 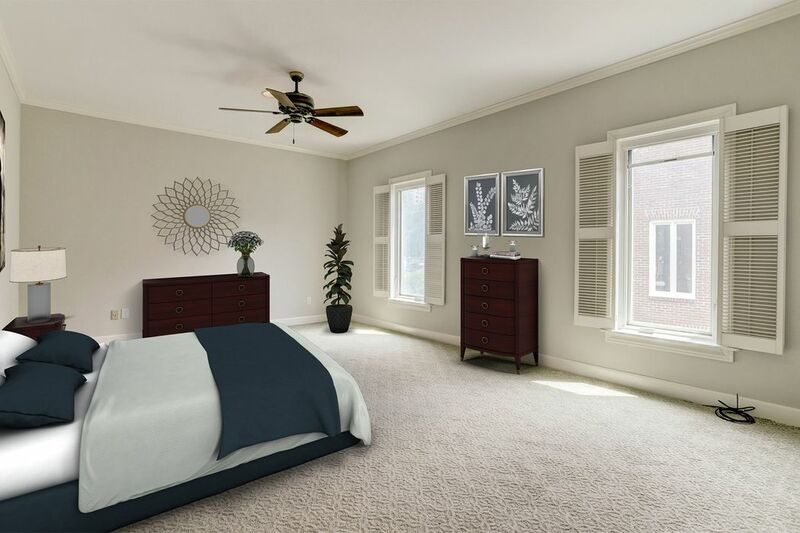 MASTER BEDROOM (20 x 12) with two windows, plantation shutters, ceiling fan, crown molding, baseboards and carpet. Photo has been virtually staged. 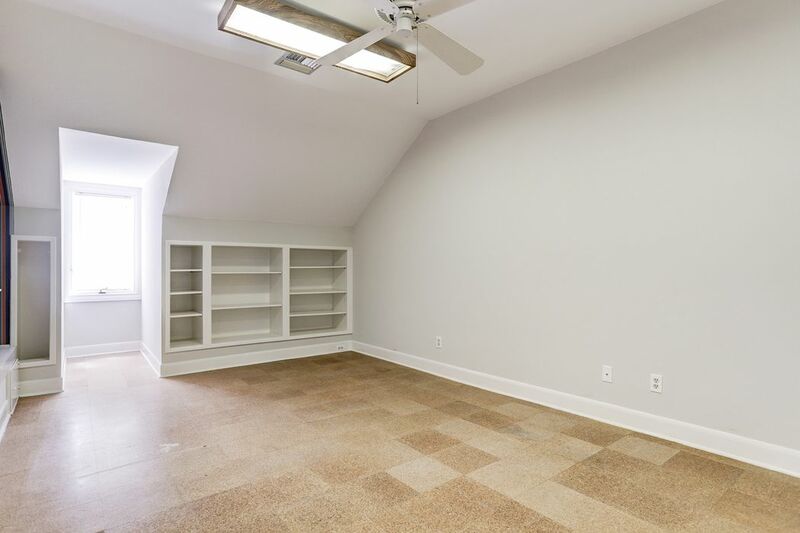 THIRD FLOOR FLEX SPACE (17 x 10) with cork flooring, built ins, baseboards, ceiling fan and surface mounted light fixture. Photo has been virtually staged. 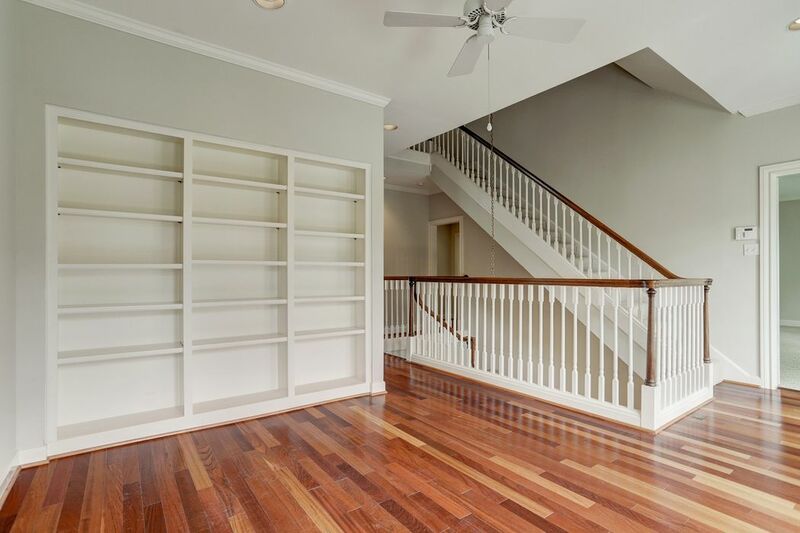 SECOND FLOOR STUDY/SITTING AREA (11 x 11) with hardwood floors, crown molding, baseboards, built ins, ceiling fan and plenty of natural light. Photo has been virtually staged. 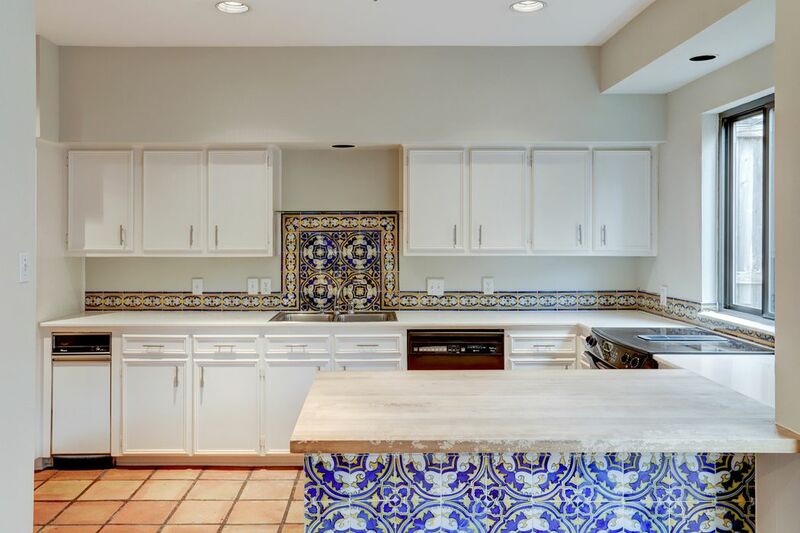 KITCHEN (17 x 9) with Saltillo tile floors, Corian countertops, ample prep and storage space and recessed lighting and decorative tile work. Generous pantry not shown in photo. 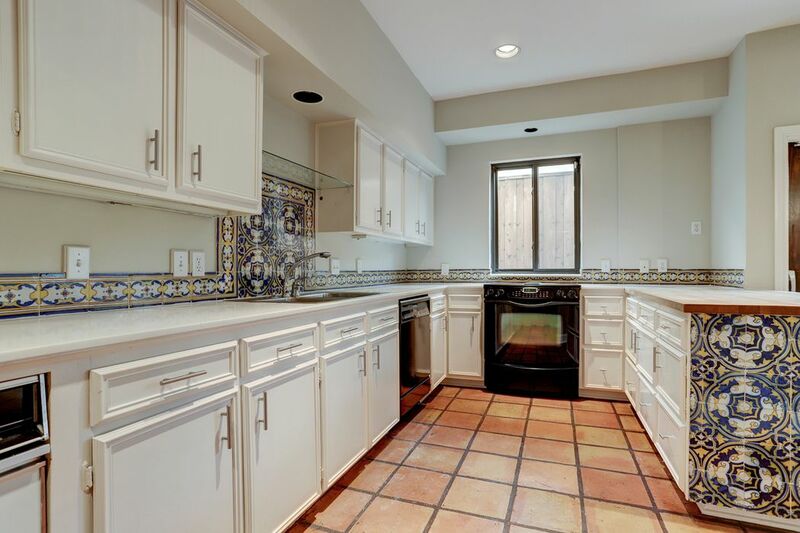 Another view of the KITCHEN (17 x 9). 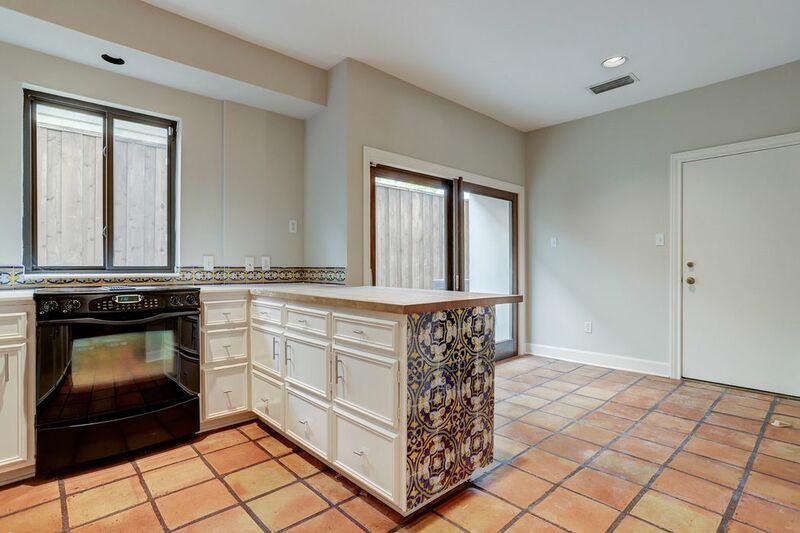 Front counter has butcher block countertop. 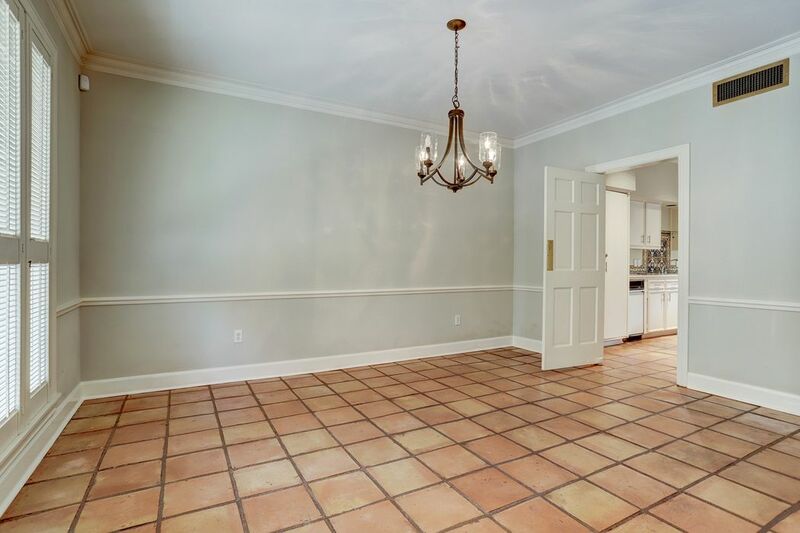 BREAKFAST ROOM (9 x 8) off the KITCHEN. 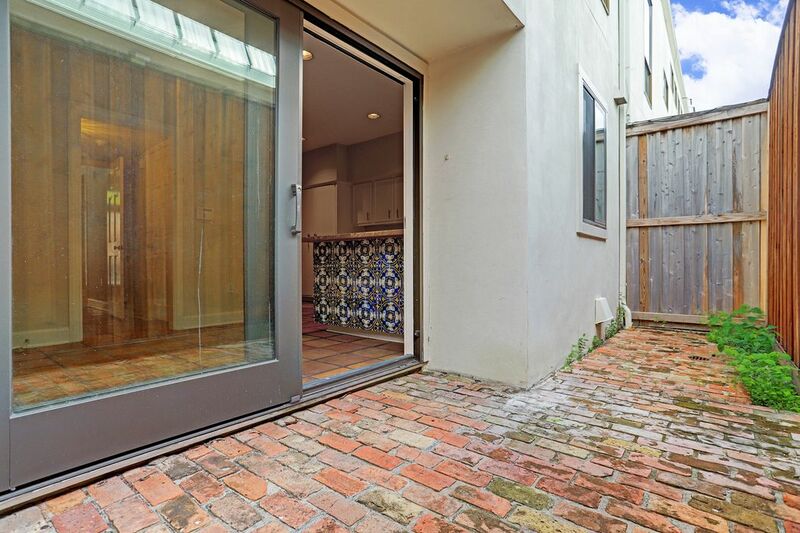 Sliding door gives access to brick patio. 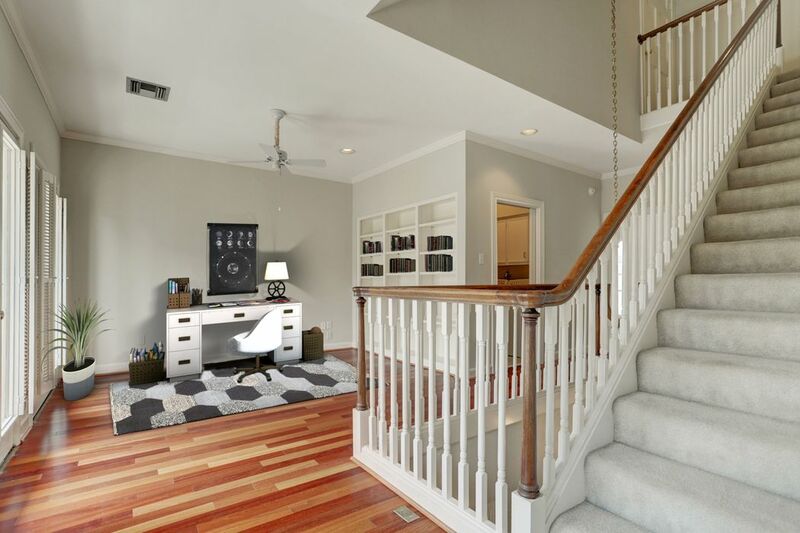 Another view of the SECOND FLOOR STUDY/SITTING AREA. Three sets of operable doors to access the BALCONY overlooking the commons. 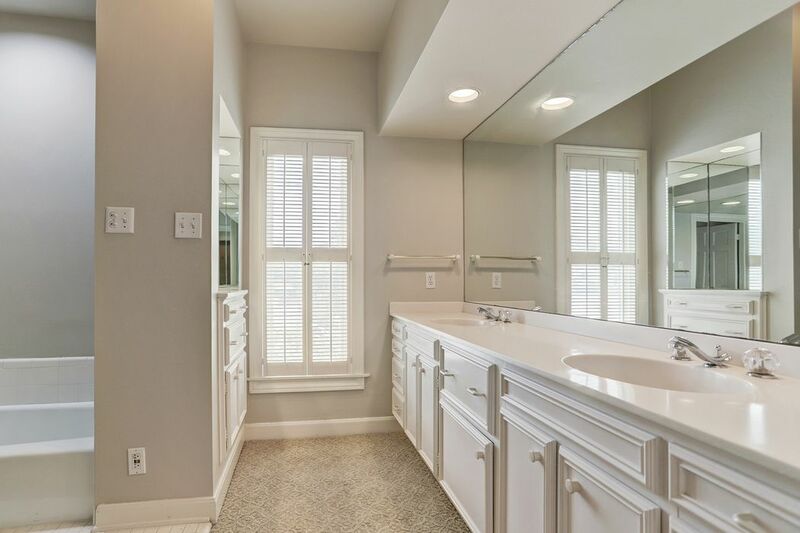 Another view of the MASTER BATHROOM with double sinks, recessed lighting, one window with plantation shutter and plenty of storage. Double master closets not shown in photo. 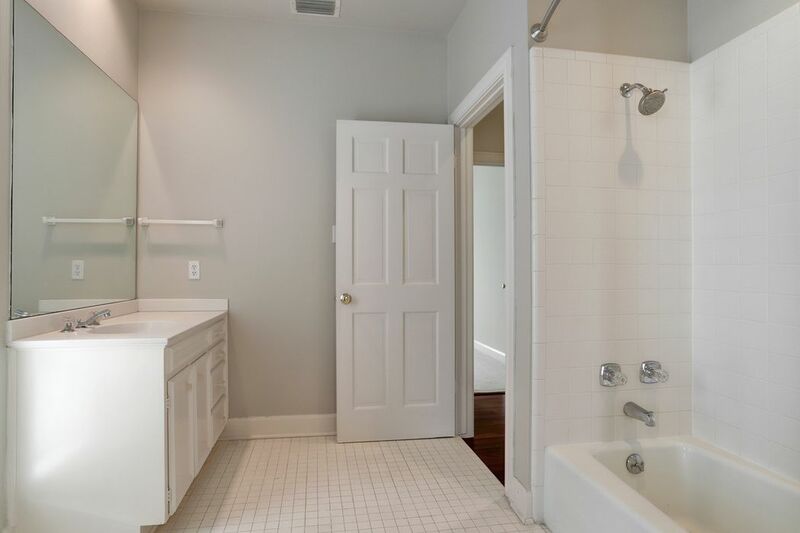 MASTER BATHROOM with separate bathtub and shower. Unstaged photo of the THIRD FLOOR FLEX SPACE (17 X 10). 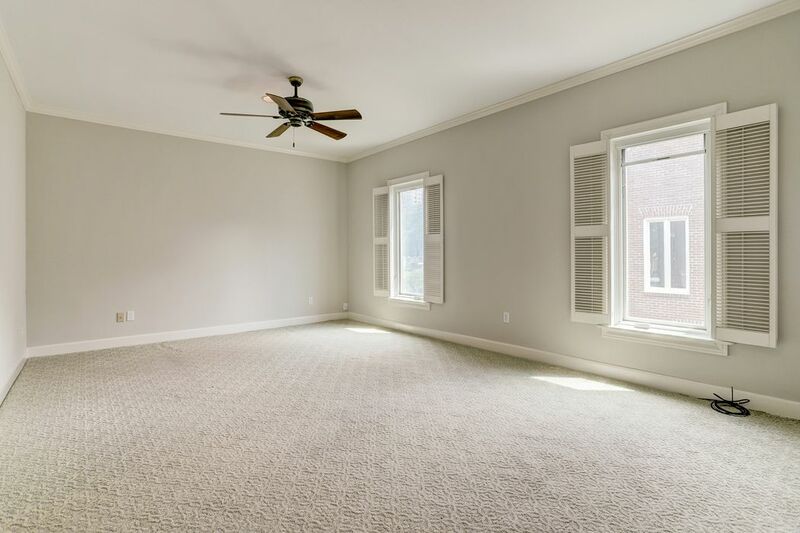 Unstaged photo of the MASTER BEDROOM (20 x 13). Unstaged photo of the SECOND FLOOR STUDY/SITTING AREA. 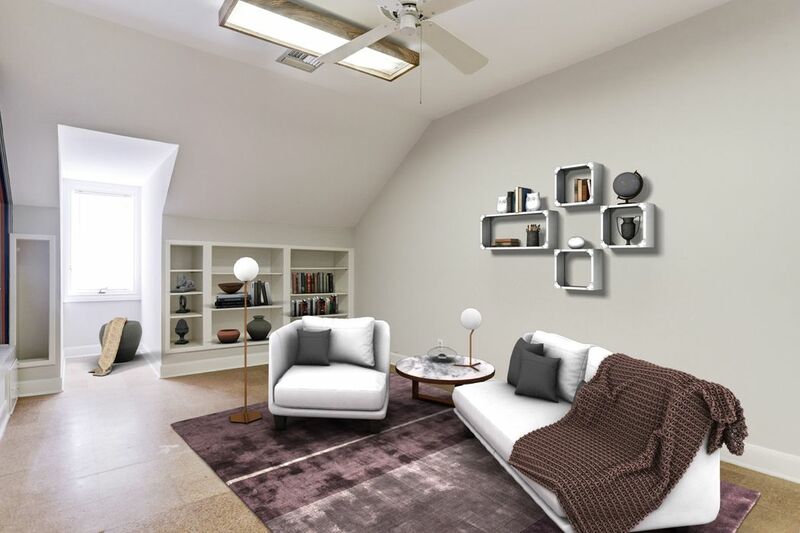 Unstaged photo of the LIVING ROOM (20 x 12). 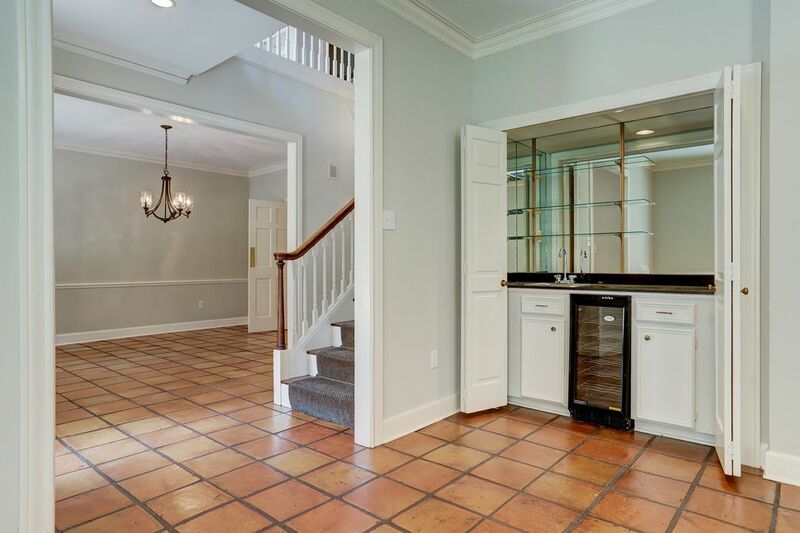 A closer view of the WET BAR in the LIVING ROOM with glass shelving, wine fridge, sink and bi-fold doors. A closer view of the built ins in the SECOND FLOOR STUDY/SITTING AREA. 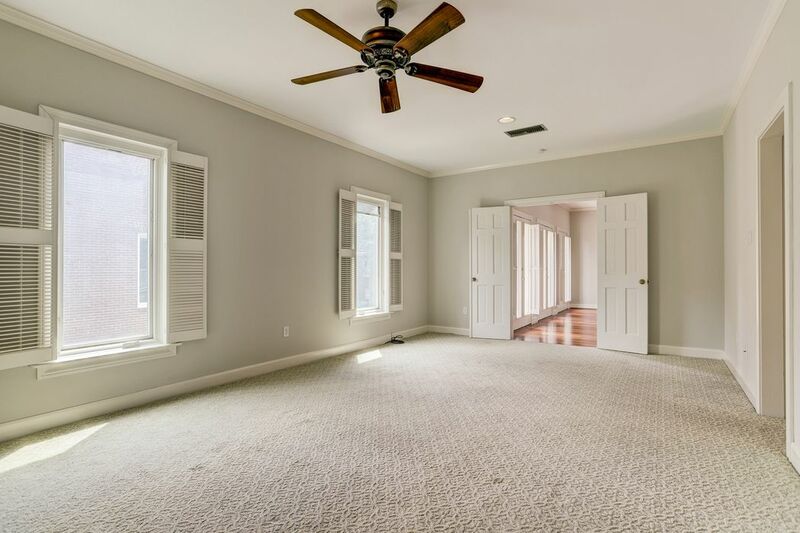 Alternate shot of the MASTER BEDROOM (20 x 13). Another view of the MASTER BATHROOM tub and vanity area with double sinks. 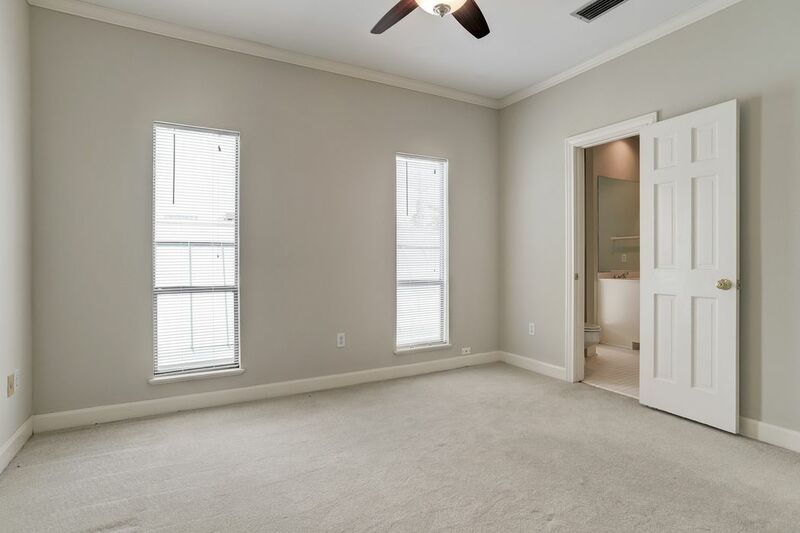 SECONDARY BEDROOM (14 x 10) with carpet, two windows with blinds, crown molding, baseboards and ceiling fan. 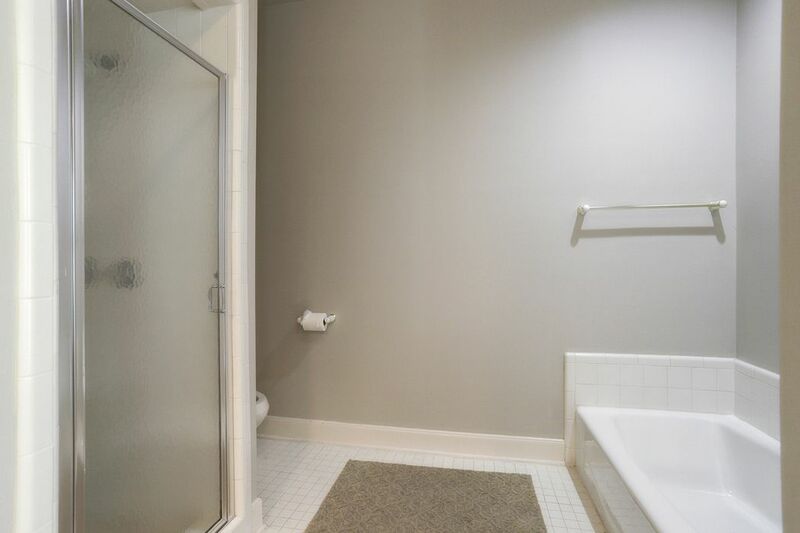 Door to the right is the SECONDARY BATHROOM shared with the other SECONDARY BEDROOM on the second floor. 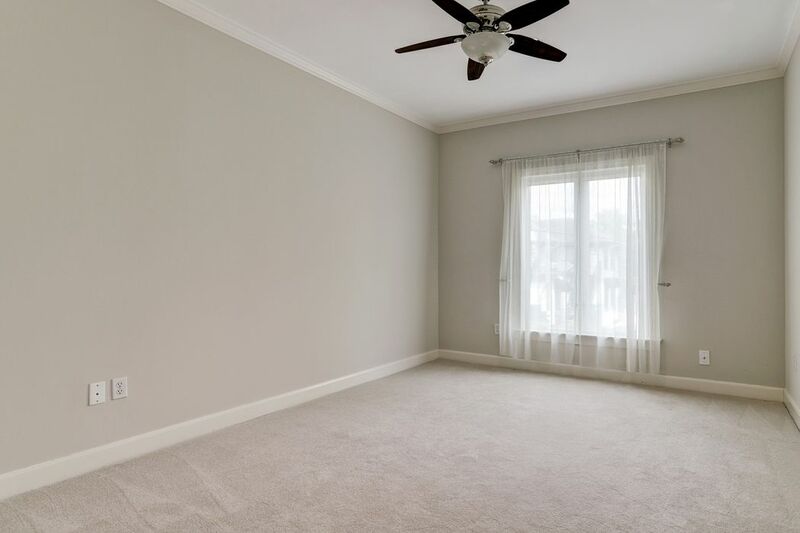 SECONDARY BEDROOM (12 x 10) with carpet, one window, ceiling fan, crown molding and baseboards. 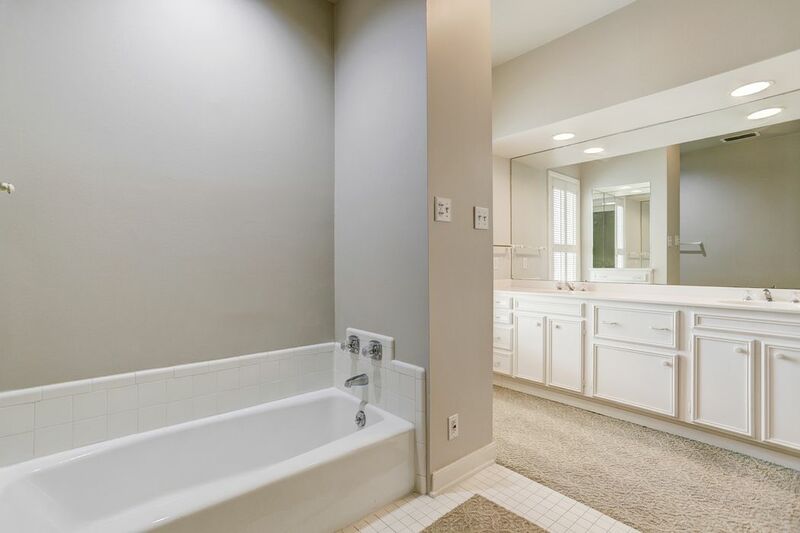 SECONDARY BATHROOM with single sink and tub. 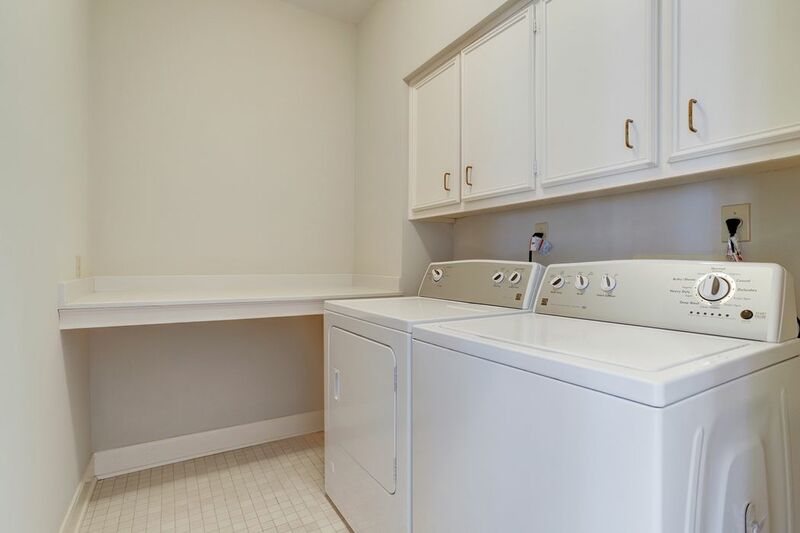 UTILITY ROOM (7 x 6) offers plenty of storage and folding space. 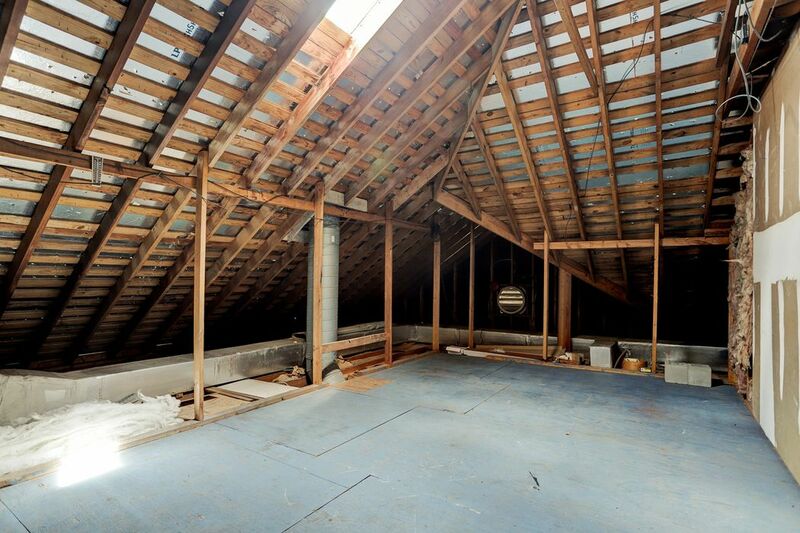 THIRD FLOOR UNFINISHED SPACE. New roof with new decking and radiant barrier. 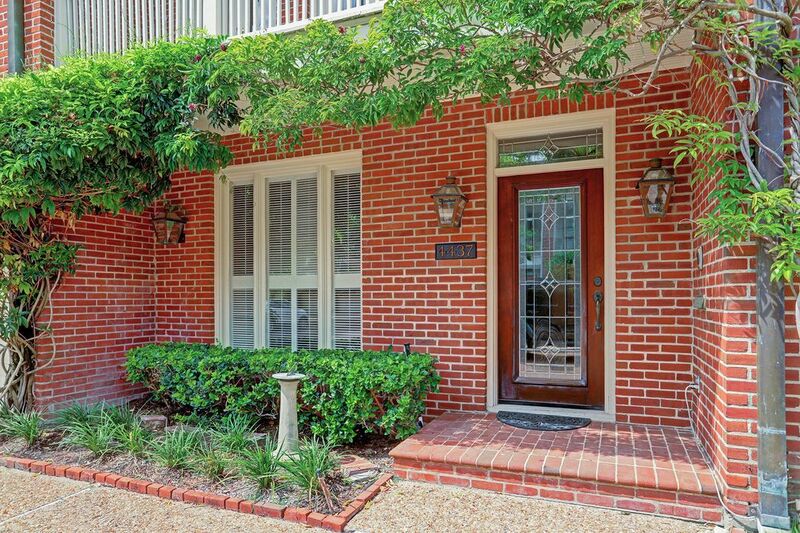 BRICK PATIO with sliding door access to BREAKFAST ROOM/KITCHEN. 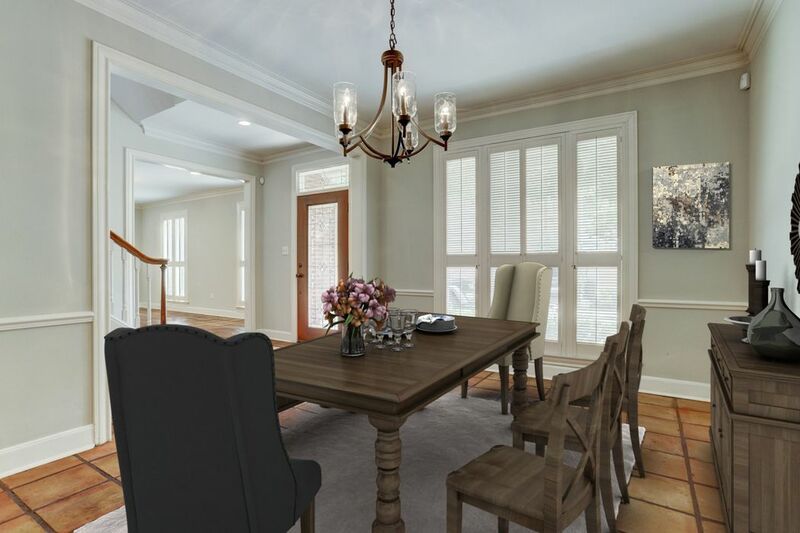 Alternate view of the DINING ROOM looking toward the FOYER. 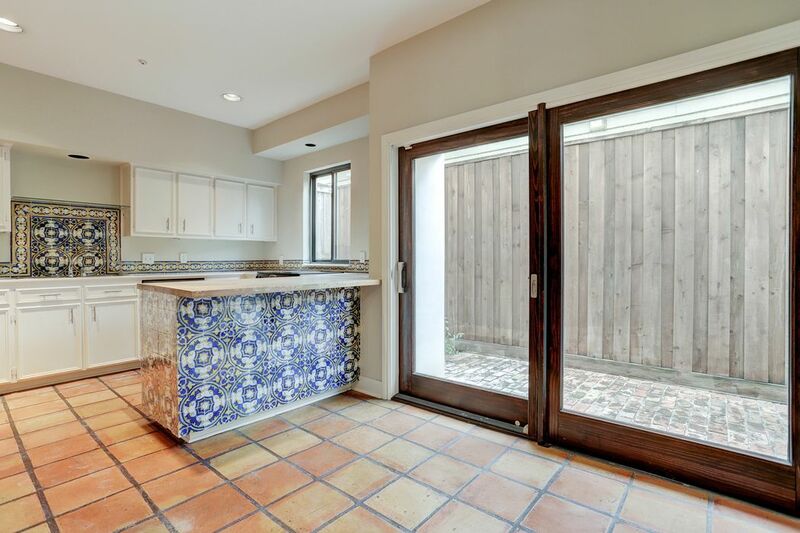 Swinging door to the left accesses the KITCHEN. Another view of the DINING ROOM looking into the KITCHEN. Another view of the KITCHEN storage and BREAKFAST ROOM. 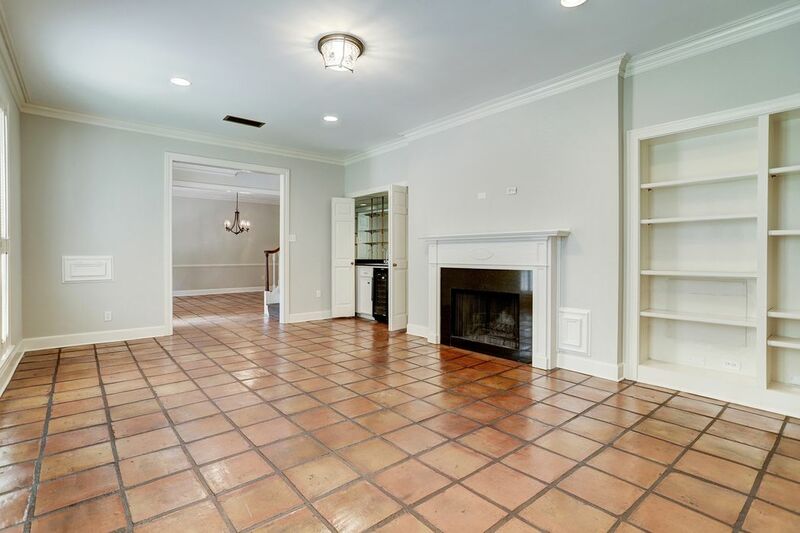 $525,000 3 Bedrooms2 Full / 1 Partial Baths2,723 sq. ft.
Never Flooded! 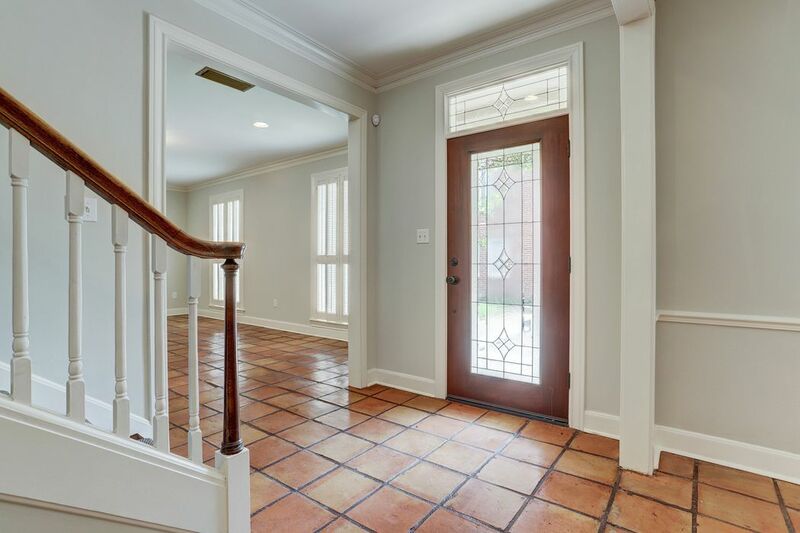 Must see well cared for one story home! Sellers extremely motivated! 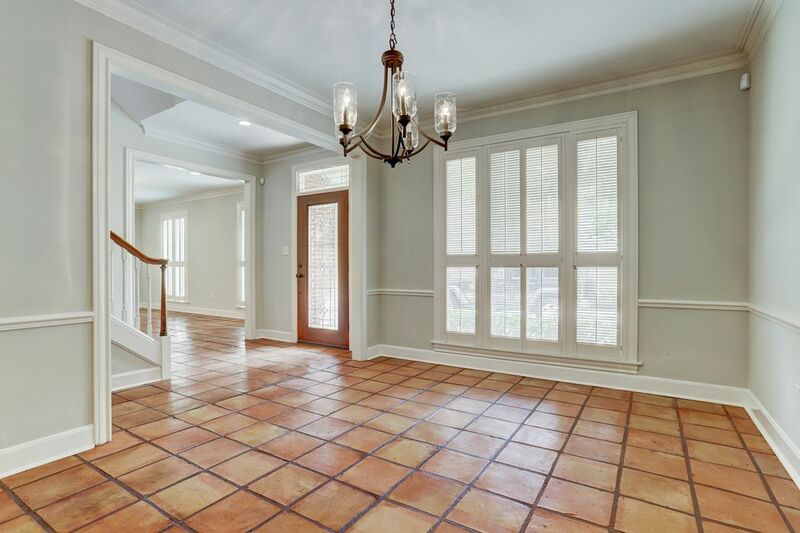 You will love this kitchen and open floor plan. Conveniently located near Medical Center. 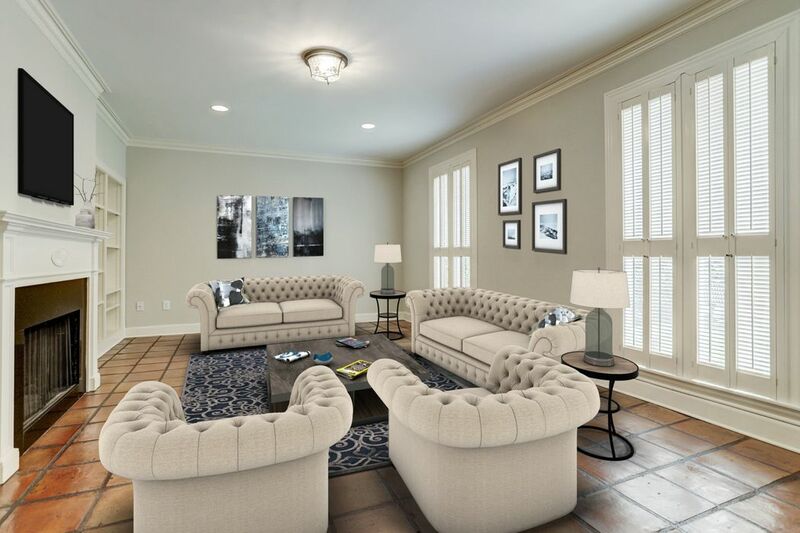 New AC (July 2018) Major Renovation 2015: Wall removed to open living and dining which allows the wall of windows to bring in natural light; enjoy the scenic yard with mature oak trees. Kitchen redone with quartz counters, pendant lighting, stainless steel appliances includes gas GE Cafe Series range with double oven and Refrigerator included! 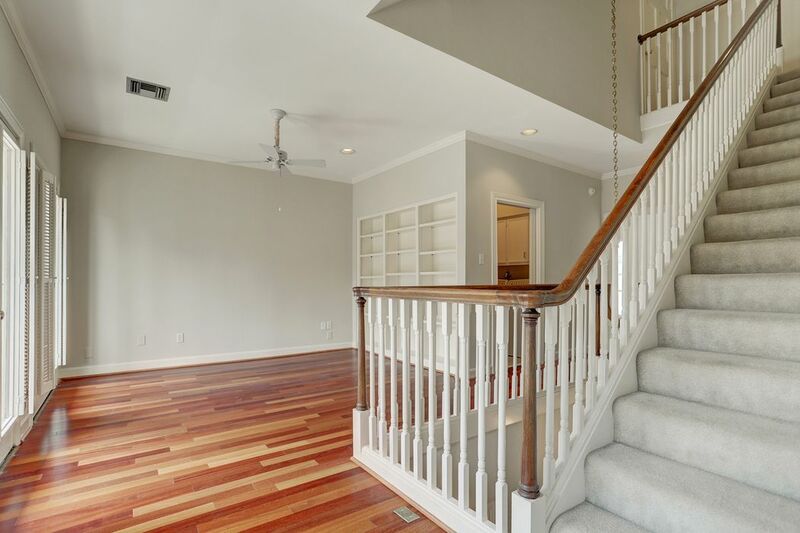 Hardwoods throughout refinished (no carpet); new lighting throughout with recent light grey paint. 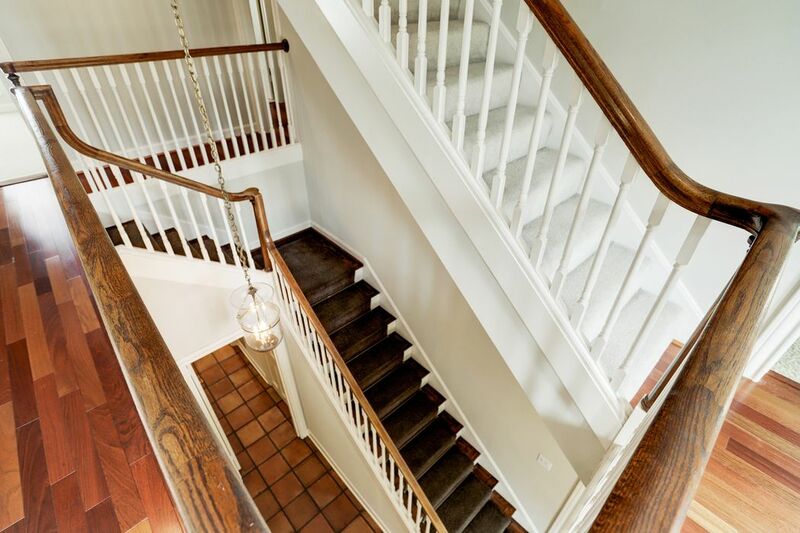 Many bonus features: Covered walkway from garage, auto driveway gate, in home utility room, butlers pantry, eat in kitchen with island, large covered patio with fully fenced yard equipped with auto sprinkler and mosquito repellent system. 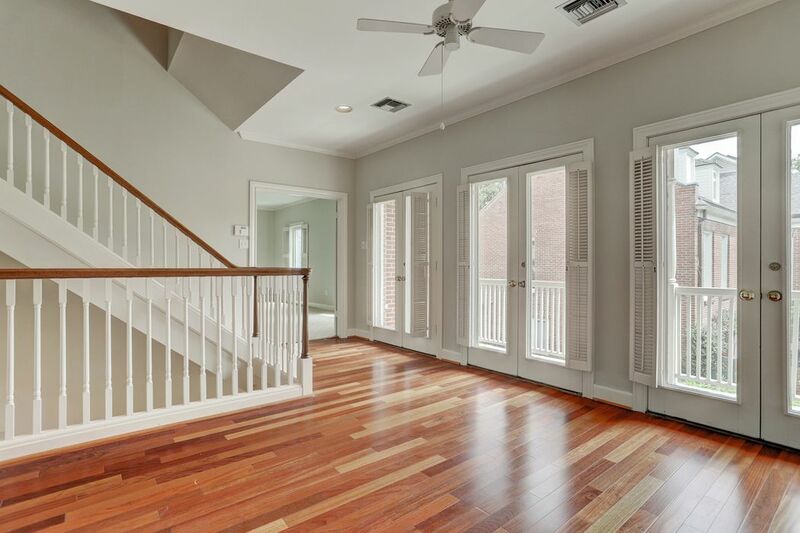 Zoned to great schools including Bellaire High School! Open House Sunday 3-5!